By Bola Sokunbi. Published on October 7, 2015. Fashion bloggers and style influencers in many ways have taken the place of fashion magazine, editors and stylists. I find myself visiting my favorite fashion blogs for inspiration on what to wear or how to style something quite often. The whole point of fashion blogging is exhibiting your sense of style, not showing off how much you've acquired. Style, is being able to utilize your existing wardrobe to create a variety of different outfits and looks; It is not about going out to buy a new outfit for every blog post. Think "cost per wear". Focus on buying quality clothing, shoes, and accessories that fit into your current wardrobe and can be worn and re-worn with a variety of things. 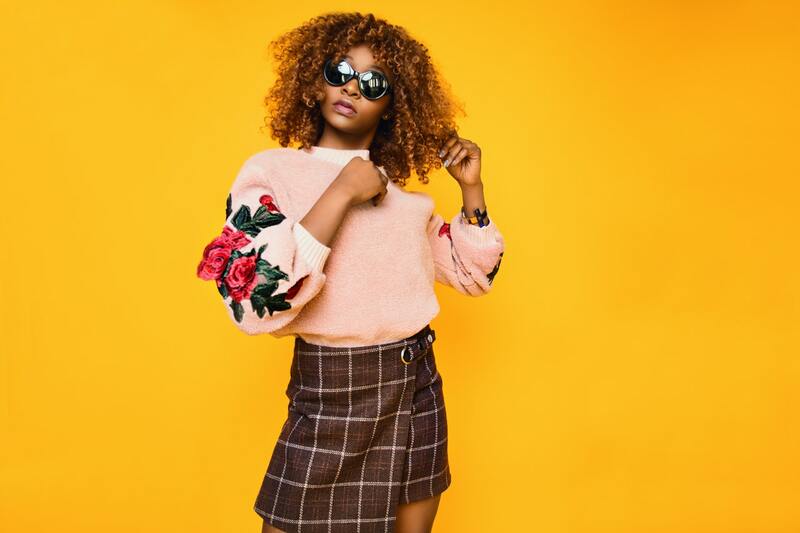 Just because you are a fashion blogger doesn't mean you should hop on the bandwagon of every trend - the whole point is showcasing your personal style. Not being overly trendy does not mean you are boring. If you do however choose to buy trendy pieces here and there, look for quality but be careful how much you spend on them. Alternatively, instead of buying trendy clothing or shoes you can purchase some fun statement accessories instead. You should not, under any circumstance, borrow money or even dip into your savings or stop saving because you've exceeded your clothing budget for a given time period. Create a wardrobe plan each season by deciding what things you'd like to buy, what gaps in your closet you'd like to fill and manage your funds accordingly. It is not ok to go into debt just to showcase your collection of 50 Chanel handbags on Instagram to people you don't even know. People like fashion bloggers because of their individual and unique style. Don't wear things you aren't comfortable wearing or would never wear in your real life just because everyone else is doing it. Don't buy things you can't afford just for a blog post! For tips on remixing and defining your personal style, stop by my friend’s blog - Titi's Passion - she's one of my favorite fashion bloggers and she does it fabulously on a budget!